Grocery shopping with a toddler in-tow is without a doubt the most painful excuse for an “outing” that a mother has to experience. It’s putting together two things: one boring, the other challenging, and attempting to succeed at both. No matter how prepared you think you are, more times than not it ends in D-I-S-A-S-T-E-R! 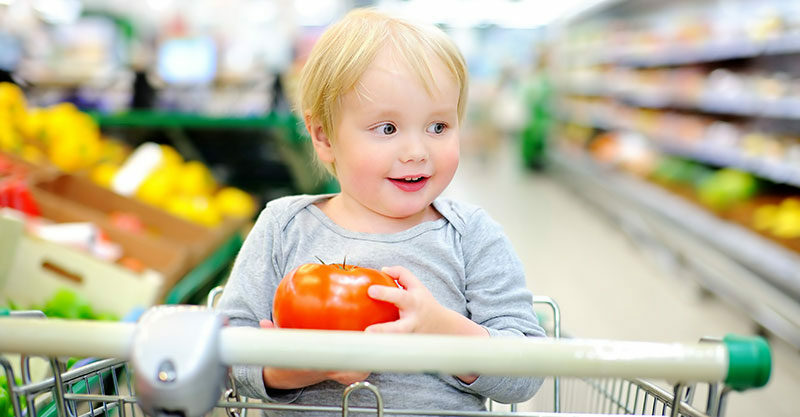 So, here are ten things I’d rather do than take my toddler grocery shopping. Yep, I’ll happily scrub a toilet – top to bottom – if it means I don’t have to take my toddler grocery shopping with me. Rubber gloves and a scrubbing brush I can handle. A flailing, screaming and demanding toddler in a supermarket, yeah – I’ll pass on that. Mothers-in-law get a bad rap, and I know I’ve hit the jackpot with mine. In fact, she’s one of my favourite humans, so I’ll happily spend the whole day with her instead of taking my toddler shopping. Sure, she may drink more cups of tea than I can keep up with but at least my mother in law doesn’t throw herself onto the ground when I don’t buy her a treat; which is less than I can say for my toddler. Beans, beans, spicy beans! Tummy gurgles and wind I can manage with some Gaviscon (however I’m not sure my husband would agree), but there’s no magical cure for a toddler who is hell-bent on removing any many items as possible from the grocery store shelves. Indeed, I’ll happily attend a recorder concert full of young children playing out of tune if it means I get to skip wheeling my toddler through supermarket aisles. I can discreetly place earplugs into my ears in a school music hall, but I’m not sure I’d get away with that in Woolies. I’ll happily spend my day getting in and out of the car, running menial tasks instead of going grocery shopping with my toddler. Heck, I’d even prefer to run errands WITH my toddler than take her into a crowded grocery store. Having four children of my own, means a helluva lot of laundry, let me tell you. But I’d happily spend the day doing laundry in all it’s washing/hanging out/folding/putting away glory – instead of taking my toddler to the supermarket. Although the free fruit is supposed to be a way for parents to calm toddler’s, it only makes mine more impatient because I won’t wheel past the basket three times! At least at home, she can’t reach the fruit bowl. Yes, you heard me. I’d willingly take my toddler to a shop full of toys instead of having to take her to a supermarket. At least with a toy shop, she has something to do that’s interesting – even if she does have a tantrum when it’s time to leave empty-handed. Allowing my toddler “help” me bake a cake is more appealing than grocery shopping. 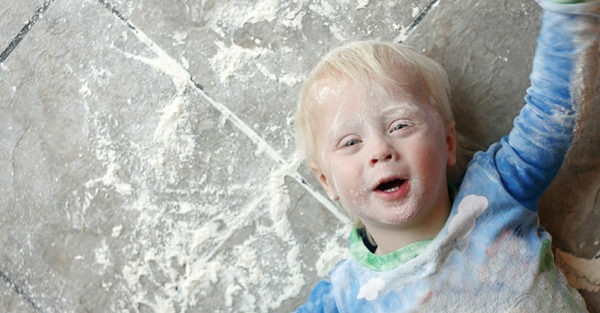 Although she tends to spread flour, sugar and sprinkles all over the kitchen bench, floor and sometimes in her hair. At home, no one can judge me when I let her eat the batter straight from the bowl. The same cannot be said when she is sitting in a trolley screaming. Imaginary play with children is up there as one of the most boring parts of parenting. But hey! I’ll don my imaginary crown and gown and pretend to be a princess with my darling toddler – as long as you can promise me I don’t have to get the week’s worth of groceries with her as my sidekick. I would actually prefer to spend time with a whole classroom full of toddlers in all their toddler-like glory than take my own toddler shopping for food. If that doesn’t spell desperation, I don’t know what does. 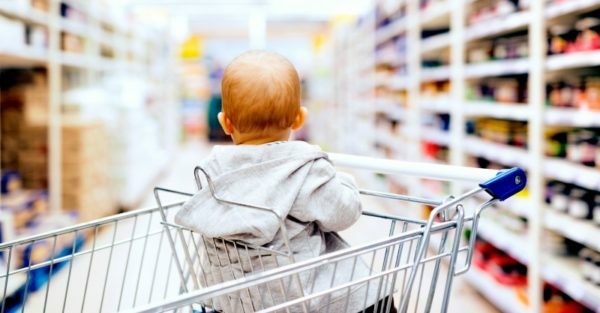 Please, please, please don’t make me go grocery shopping with my toddler. I promise you; I love her to pieces, but I prefer we aren’t stuck in a supermarket together … okay?